There are many different kinds of figurative “bridges” that connect us with Cuba. For some, going to Cuba means fully returning to a whole life they once lived on the island, a kind of time-travel. For those who perhaps lived only part of their childhood in Cuba and have been steeped in Cuban culture and community in exile, the journey is not a returning, per se, but a yearning to experience first-hand the Cuban side of the Cuban-American hyphen. Yet for others like Derek Palacio, the journey is more abstract, an open-ended discovery of his birthright, as he so eloquently describes in this month’s post. Palacio will visit Cuba for the first time this October on a trip with the Cuba One Foundation. He notes, “Going to Cuba will not be the evolution of my relationship with the island, but a starting over. Going to Cuba will mean new cities, new faces, new skies, new realities.” In reading through Derek’s piece, we realized the probable kinship with many of our readers whose relationship with Cuba and motivation to visit the island are similar to his. Buen viaje. 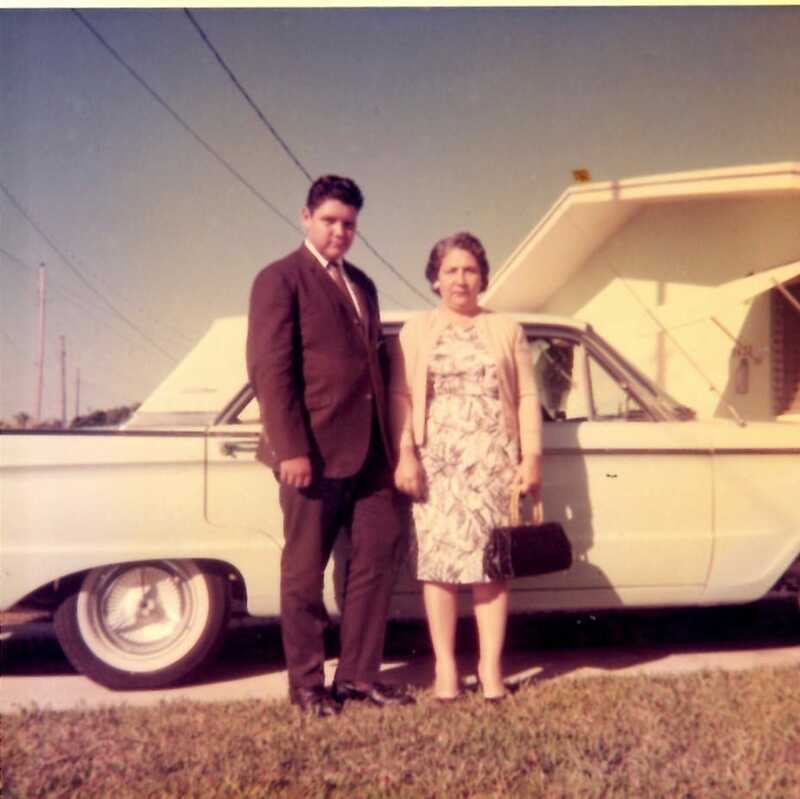 In 1960, four years after emigrating from Cuba, my father, Carlos Palacio, and his family visited Cuba for the first time since they settled in Hialeah; they drove down to the Keys and boarded a car ferry that floated them across the Florida Straits to Havana. From there, they drove across the island to Oriente, the region of his family’s since-sold sugarcane plantation. They toured the country, visited relations, and since then have not gone back. This anecdote of my father’s last visit is one of the very few memories he has of the island. 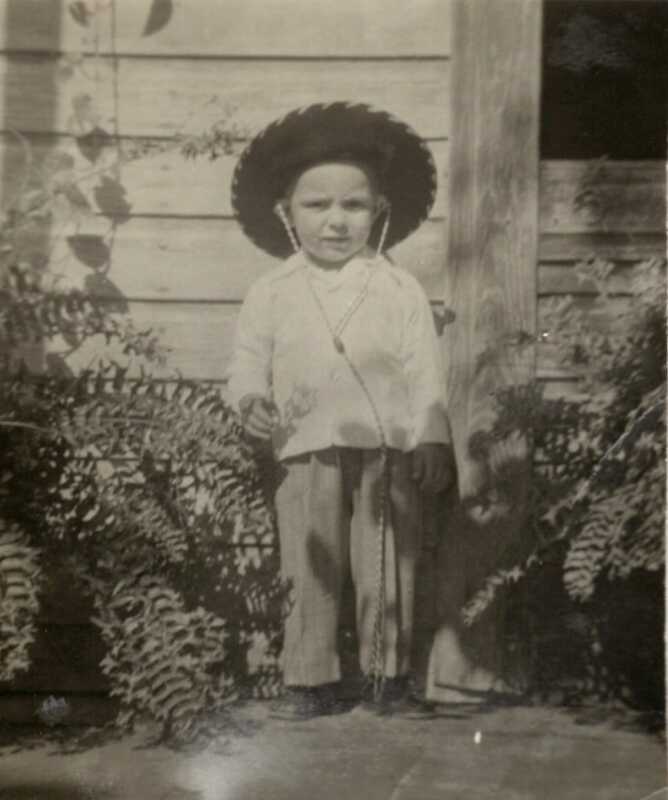 Having left the country at a very young age, he considers Hialeah the home of his upbringing; when he thinks of his youth, he recalls the landscapes of Miami and southern Florida, not the city of Puerto Padre in Oriente on the northern coast of Cuba. Still, that memory, along with others of the island—a mango tree behind the family house, his father on horseback, playing pirates with cousins—persists, I think in part because of its rarity. Those recollections are all he has of his brief life in Cuba. The power of that scarcity—the pull of elements that feel finite, incomplete, almost like relics—has also persisted, even expanding across generations. It has inspired my own relationship with Cuba, first as the curious son of a Cuban immigrant, and now as an author. In retrospect, I realize the latter would likely not have happened without the former. It may seem obvious that I would not have become a writer concerned with Cuba or Cuban-Americans had my father, or any member of my family, not been from Cuba. But what I’m really saying is that I would not be a writer at all if not for my father’s memories, those intoxicating ruins. In fact, my very first published work was an excerpt from a piece I’d written about Cuban cooking—an essay on how my American mother had learned to cook yucca and arroz con frijoles for my father, my first efforts at discussing my Cuban identity on the page—published by a fledgling magazine at my undergraduate institution whose focus was Latino culture. Since then, my work, with very few exceptions, has focused on Cubans and Cuban-Americans. It’s the material through which I have developed as a writer, and those fragmented memories of my father are the foundational myths of both my literary persona and literary ambition. Salman Rushdie perhaps describes this phenomenon best in his marvelous essay “Imaginary Homelands”: “…it was precisely the partial nature of these memories, their fragmentation, that made them so evocative for me. The shards of memory acquired greater status, greater resonance, because they were remains; fragmentation made trivial things seem like symbols, and the mundane acquired numinous qualities.” My father’s memories are sacred to me precisely because they are such remains. Some of those shards have made it, without much or any alteration, into my debut novel The Mortifications. The memory that always comes to mind when I meditate on my decision to weave my father’s history directly into the events of my narrative involves my father’s first train ride. Still a young, white boy living in Puerto Padre, he traveled with his parents to Santiago de Cuba by rail and saw a black person for the first time in his life. With the curiosity of a toddler, he reached out to touch the stranger’s hair. I attribute this anecdote to the fictional father in my novel, who in turn tells it to his son as my father told it to me. Later on in the book, the son experiences a similar situation during his return to Cuba, though he doesn’t realize it, and I discern in that narrative echo the desire to make my father’s memories my own. I’m going to visit Cuba for the first time this October on a “birthright” trip with the Cuba One Foundation, and the journey will be a reckoning of many sorts. Incredibly, I will have the chance to make my own memories of Cuba, to create a relationship and connection with the island that is not filtered through my father’s experience. At the same time, I will undoubtedly be confronted with a reality that complicates, challenges and even contradicts the conception of the island I have grown up with (though I have of course researched the island’s culture and history, I’ve always drawn inspiration from those sixty-year-old recollections). This juncture in my relationship to Cuba is not, by any means, unique. I’m sure many, if not all, descendants of Cuban exiles must face something similar when they choose to visit Cuba. To that end, I will also have to confront my own anxieties about being or not being “authentically” Cuban. For a long time, I wondered, what makes me Cuban? I don’t regularly cook Cuban food, I don’t speak Spanish, and I’ve never set foot in Puerto Padre. To many people, I don’t “look” Cuban. In the end, my best answer (and I understand there are problems with it) has been and continues to be, I am Cuban when I am writing about Cuba. It’s an answer I think cousin to something else Rushdie describes in his essay, the creation of a personal “India”: “…my India was just that: ‘my’ India, a version and no more than one version of all the hundreds of millions of possible versions. I tried to make it as imaginatively true as I could, but imaginative truth is simultaneously honourable and suspect, and I knew that my India may have only been one to which I…was, let us say, willing to admit I belonged.” Having never been to Cuba, I can now see throughout my work a desire to write the island country in a way that brings me closer to its history and people. I can see myself writing a “Cuba” to which I belong. In this sense, my upcoming trip also means reimagining myself as a writer. Whereas I’ve always thought that going to Cuba would affect my writing of the island, I am beginning to see that it must change me as a writer, or better, that I must change as a writer in response to the reality of Cuba. The two are inextricably linked, my attraction to the island and my passion for the page. In the beginning it was the former that created the latter, and now it is the latter that must adapt to the former. I do not know exactly what this means. I do know that when I land in Santa Clara, when I am surrounded by Cuban dialects, when I feel the heat and humidity of the Caribbean, when I tour the historical town of Trinidad, when I visit the Gran Teatro Alicia Alonso—a place I have written about—when I enter Havana by car, as my father once did, I will feel out of place, a foreigner. I have dined on roast pork at Versailles Restaurant in Miami and savored pastelitos de carne from Vicky Bakery in Hialeah, but those encounters with my heritage have been momentary and transient. Sometimes they have even felt voyeuristic, as though I were witnessing a cultural legacy beyond my reach. All of which is to say that I don’t think anything has, or could have, prepared me for the totality of actually setting foot on the island. So when I return to the States following my trip, I will have to write about Cuba with that reality in mind, perceiving and understanding with greater clarity than ever before the gap between that world and my life. Antonio Benítez-Rojo has called the Caribbean archipelago “the repeating island,” speaking to the constant flux and “irreversible change[s]” innate, as he perceives it, to the history and circumstances of that chain of islands, of which Cuba is one. And while he notes that there’s nothing “enviable” about that reality, it can be considered a defining feature of the region and all its many parts. I find solace in that interpretation, because I’m now on the cusp of “irreversible change.” I’m going to participate in a historical repetition, traveling to and from Cuba as my father did, a practice, Benítez-Rojo claims, “that necessarily entails a difference and a step toward nothingness.” I hope, in going, to commit the writer I am now to nothingness, and I hope, in returning from Cuba, to become a different writer. A common theme in immigrant fiction is the severity and struggle of starting over. Immigrants must come to terms with new cities, new languages, new faces, new cultures, new foods, new skies, new homes. They must begin again. I realize now that the same is true for me, the son of an immigrant, and so I discover yet another historical repetition. Going to Cuba will not be the evolution of my relationship with the island, but a starting over. Going to Cuba will mean new cities, new faces, new skies, new realities. It will mean starting over as a writer, seeking a different way of being Cuban on the page, working from my own experiences and letting go, after a lifetime of inspiration, of my father’s memories. I am tempted to grieve a little here, to feel the loss of a very personal and private Cuba. But whereas Rushdie realized how badly he wanted “to restore the past to [him]self, not in the faded greys of old family-album snapshots, but whole, in CinemaScope and glorious Technicolor,” it is my literary future I am now concerned with. It is towards a living, breathing, communal, and “glorious Technicolor” Cuba that I now write. Rushdie, Salman. Imaginary Homelands: Essays and Criticism, 1981-1991. New York: Penguin, 1992. Palacio, Derek. The Mortifications. New York: Tim Duggan, 2016. Benítez-Rojo, Antonio. The Repeating Island: The Caribbean and the Postmodern Perspective. Durham: Duke UP, 1992. Derek Palacio received his MFA in Creative Writing from the Ohio State University. His short story “Sugarcane” appeared in The O. Henry Prize Stories 2013, and his novella How to Shake the Other Man was published by Nouvella Books. His debut novel, The Mortifications, is forthcoming from Tim Duggan Books, an imprint of Crown, in October 2016. He lives and teaches in Ann Arbor, MI, is the co-director, with Claire Vaye Watkins, of the Mojave School, and serves as a faculty member of the Institute of American Indian Arts MFA program. I exiled to the US in the year 1960 and did not return to Cuba until 50 years later. I now travel there about every four months to install water purification systems in Cuban churches. I suggest that you post what you think about the Cuban Embargo after your visit. What a beautiful and emotional description of your journey before your trip. I have no Cuban heritage except as a fellow human. My visit to Havana last fall was nothing less than amazing. The people are wonderful. Someday I will return to visit more than just Havana. I look forward to reading about your visit. I truly enjoyed this writing. It stirred up memories of my feelings 2 years ago when I visited Anamosa, Iowa; my birthplace 81 years ago, after not visiting there for 35 years. My family there has all passed on. I am anticipating reading another writing by Derek when he returns. Thank you for all the stories you email. They are all very interesting.